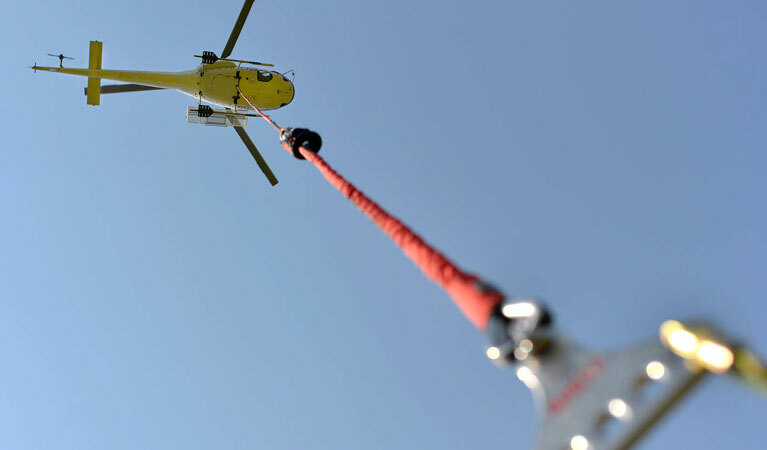 Learn more about how helicopters benefit can the utility industry in Arizona. FairLifts is a leader in the reservation of professional helicopter assisted utility installation services for Arizona transmission line construction. By delivering access to an array of local and global operators, FairLifts specializes in the procurement of expert aerial support services for utility companies and contractors in their efforts to expand connectivity across cities, states, and regions. The design of a helicopter makes the aircraft a very effective tool to have in the utility installation and construction arsenal. Mainly due to the helicopter's numerous attributes, like speed, hover capability, and the capacity to fly effectively at lower elevations. Also, because helicopters can easily achieve access to remote and impassable locations. Since the helicopter aircraft's inception into the realm of utility construction, projects that in the past had taken months and weeks to finish are nearing completion in days and hours. And, although, the construction, maintenance, and repair of transmission lines and installations are still precarious for linemen, helicopters are helping to make it infinitely more safe than ever before. Throughout the state of Arizona, helicopters have played a vital role in the replacement of existing transmission lines and in the new construction thereof. In environments where the terrain is especially rugged and diversified as is the case throughout Arizona, helicopters are widely utilized to deliver the least amount of intrusion on fragile or environmentally protected areas and across waterways or in hard to reach elevations. In a state that features landforms like the Colorado Plateau, in one portion and gorges, mountains and valleys across other parts, the need for helicopter assisted services is widespread. One such occasion happened roughly a few years ago in the replacement of 55 miles existing 115,000-volt transmission line between the Vail Substation, situated southeast of Tucson, and the Valencia Substation in Nogales, Arizona with a 138,000-volt transmission line. The project was expected to improve upon the increase in need for power in Nogales and the Santa Cruz River Valley. Throughout the duration of the project, helicopters were implemented where the terrain became impassable and by the project’s completion over 50 plus miles of transmission line had been upgraded. Need a utility construction helicopter quote today? 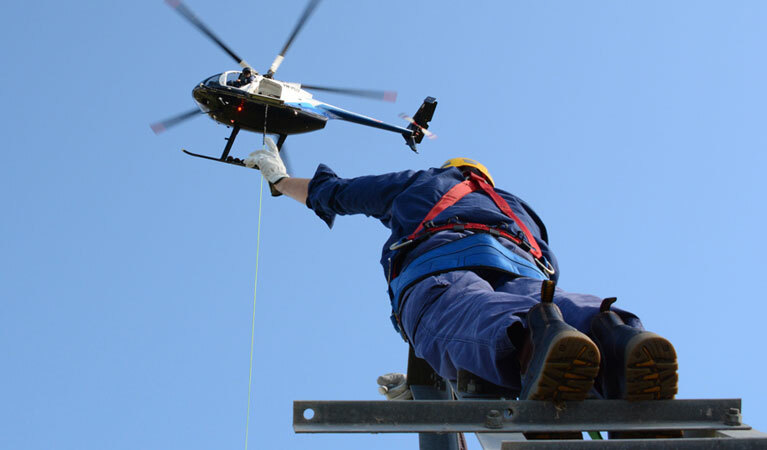 The reservation process is made smooth and easy when you book helicopter support services for Arizona transmission line construction and installation. FairLifts’ agents can reserve aerial assisted services as a result of an extensive network of experienced and professional operators. Reserving through FairLifts allows for clients to take advantage of the agent's expertise in sourcing an ideal operator, aircraft, and hardware to get the project done according to their specification. Heavy lift helicopters are used to transport equipment, gear, personnel, and materials to installation sites. Materials like tubular steel, concrete, and wood are transported via cables affixed to the bottom of heavy lift capable helicopters that can safely transport and effectively fly while carrying extremely weighty loads. Additionally, Longlines and skid level platforms are suspended beneath helicopters so that linemen can perform inspections, install and/or make repairs to wires, conductors, cross-arms, and more. Helicopter-assisted aerial support in the stringing of wire on transmission towers across the state of Arizona makes the process more timely and simpler. Wires can be strung in a fraction of the time it takes ground crews to travel to the installation sites, climb the poles or elevate themselves via bucket trucks. Plus, helicopters can achieve access to remote or impassable locations terrestrial vehicles cannot. Helicopters are used widely to an advantage during pole installations, specifically with regard to setting new poles and in upgrades to outdated existing poles. Not only can helicopters help to set the poles, the can additionally transport all of the material and gear needed to the site and remove leftover debris following construction. Helicopter facilitated aerial inspections produce a wider field of vision across the expanse of power grids and installation locations. Electrical inspectors can look for debris around ROWs and inspect and photograph power lines and towers for anomalies and inconsistencies in construction. Expedient transport of personnel to offshore locations, remote destinations or up to high elevation installations in efforts to construct, inspect, repair and maintain transmission towers and lines in Arizona is more effectively done than ever before with FairLifts reserved helicopters. Talk to our experts to receive a fast quote for your transmission line job in Arizona! FairLifts has experienced agents available 24 hours a day, seven days a week who are happy to respond to questions, talk project specifics, elaborate on aerial support services, receive a complimentary price quote and reserve helicopter assistance for Arizona transmission tower construction. Reaching out to us is easy and convenient, complete the simple contact form or call anytime.